'You will know the truth, ' said Jesus, 'and the truth will set you free.' Christians have already begun to know God and his truth. This handbook assists in that liberating knowledge, as it opens up the great themes of God's Word and shows how they fit together. Each chapter deals with one aspect of biblical truth and encourages further study with Scripture references to look up, questions for discussion, and books for additional reading. The main sections conclude with practical reflection on how the Bible's teaching challenges us and moves us to adore the living God. 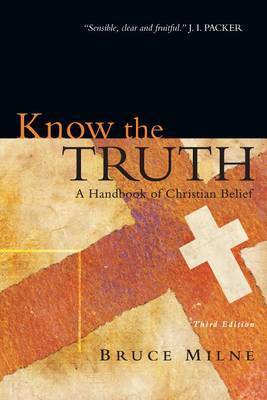 This new edition of Bruce Milne's widely appreciatedKnow the Truth has been extensively revised and updated to ensure its ongoing relevance and value as an excellent introduction to Christian doctrine.